First ride of our initiative! IT has to be special. It was! We started off in time, all were excited and were thrilled to be a part of this superb initiative. Total Donation collected was 21,000. This we handed over to Mr. Ambekar, who was very happy to see our work. We spent some time with the kids. 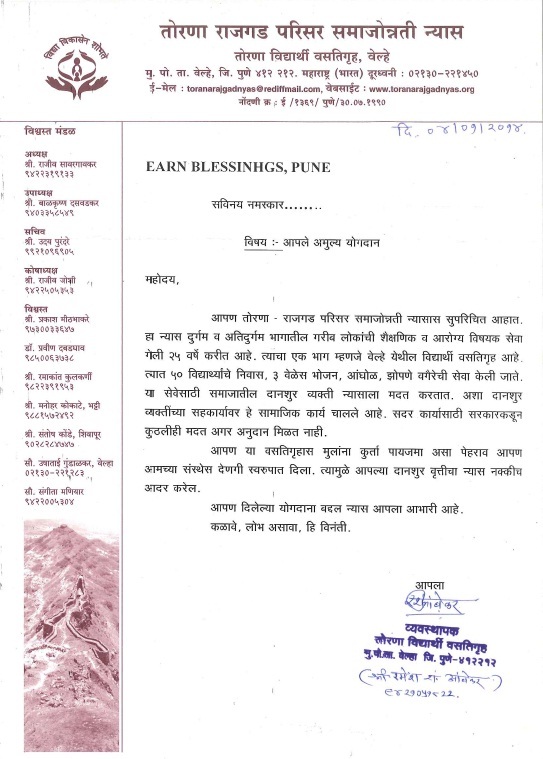 As an initiative, we received an appreciation letter and a thank you letter for all the people who donated for the cause. The best part is, we went there on 26th January, where in a function, students got the dresses, which were purchased from our donations. We were so happy to see the results of our initiative!